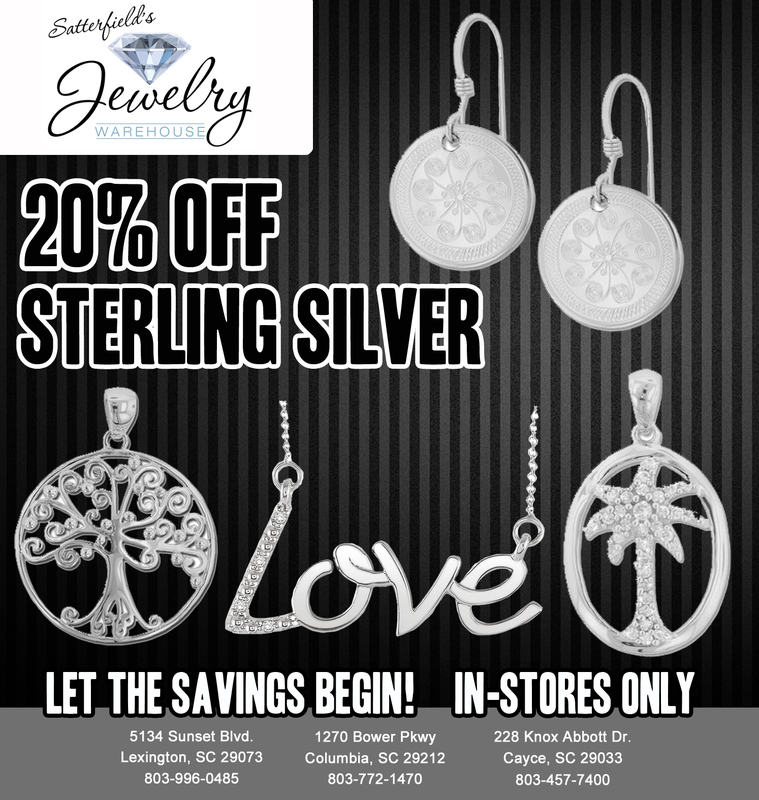 Starting today through Saturday, Dec. 6, ALL Sterling Silver Jewelry is 20% off! If you can’t make it to one of our stores for this particular offer, you can still shop with us online for all your Christmas Shopping! Click here. This entry was posted in Jewelry, Jewelry and Holidays, Jewelry News, Sales and tagged columbia sc, Jewelry, jewelry warehouse, silver, sterling silver. Bookmark the permalink.